Our company is engaged in cabbage export from Turkey in the winter season. We are working on the fresh cabbage export market more than 10 years, and each year we export to markets of Europe and Asian, more than 5 000 tons of cabbage. Our service is aimed to simplify the procedures of export to the final wholesale buyer. We make all the needed documentation, provide logistics and customs services. Our wholesale prices for cabbage, as well as a price for fresh vegetables and fruits, are among the lowest you can find in the market. The quality of our products is confirmed by international certificates. The existence of a large recipes number as well as dietary properties of cabbage, creating a huge demand for this product in world markets and offer great opportunities for fresh cabbage suppliers. The importance of this product in our time is largely determined by the very low calories content and the presence of large amounts of vitamins, especially vitamin C. According to scientists, vitamin c content in cabbage is more than in lemons and tangerines, and the ability to maintain the beneficial properties for a long time, make this plant ideal for export all year round. Cabbage is grown in gardens all over the world, but in winter it only can be grown in the sub-tropical climate. Calories content for this product is 27kcal per 100grams. 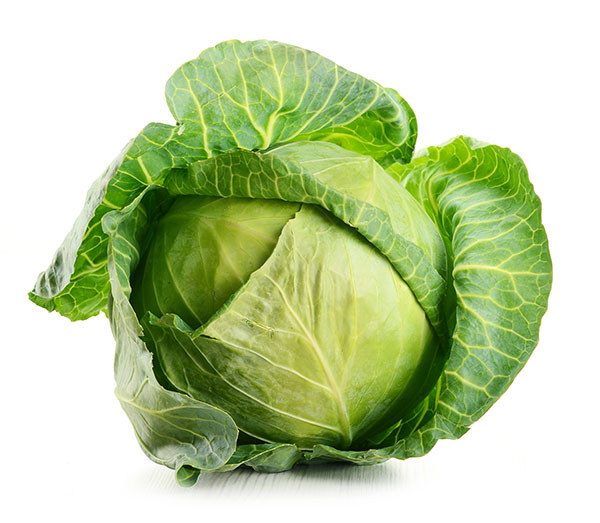 Cabbage is a source of many minerals – calcium, potassium, phosphorus, folic acid, and sulfur. Not so long time ago, the scientists discover methyl methionine (vitamin U) content in cabbages. This vitamin used to treat many stomach diseases, including ulcers. The size of cabbage about 40-50cm in diameter, weight can be from 2 to 5 kg. The fruits of cabbage are the largest of all vegetables.